TRAP DESCRIPTION: 8"Wide x 8"Tall x 16"Long. It is recommended for snakes 1-2 feet long. This is a single door trap. A rectangular box made of galvanized metal to withstand rust and rot. It has a funnel type entrance which snakes can enter but cannot escape. By placing the trap in their path or where they are foraging, it's pretty easy to get them to enter naturally without any lure or bait. 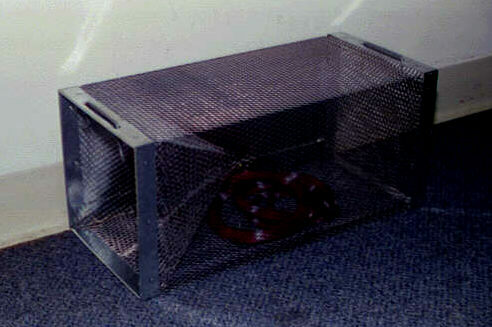 But baiting will get them to find the trap faster so we do recommend our Snake Lure. Other bait like live crickets or frogs can be used too. 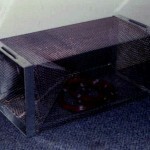 We sell many different sizes of these traps depending on the size of snake you need to trap.